My mother (she is a long time contactee) and I were discussing what specific preparation we STO persons are encouraged to organize after the shift (we are already preparing for it and communicating to hundreds and more about the shift) as a community to facilitate smooth preparation of the Service to Other helpers. This would be before the full transition to 4th density. Our question is: Will we be guided via telepathy to organize healing sectors, education sectors, technology sectors (with help), farming food sectors etc. All within one STO community or linked to separate communities of one needed activity? It would seem the hybrids will come to areas that are ready and willing to work and have shown their aptitude to do so. There is much confusion about how communities are organized in Service-to-Other groups compared with how communities are organized in mankind's current 3rd density existence. There is almost not crossover. For instance, in communities that are fully Service-to-Other, everyone volunteers. Work is done based on the needs that are ascertained or felt, not based on making a profit or whether someone is licensed to do this or that or whether the work that needs to be done is dirty and disgusting. In fact, contrary to how human society currently works, the more dirty and disgusting a job is, the more volunteers are likely to arrive! Where your desire to facilitate Service-to-Other communities is admirable, you are making a major mistake in assuming that everyone involved will be Service-to-Other. They won't be, and more than likely will be predominantly undecided with a strong streak of Service-to-Self due to your making it easy for those who are Service-to-Self to take advantage of others. Those "sectors" that you talk about where the work is easy and one can coast would be heavily populated by the lazy. No need to organize, frankly, as survivors will barter with each other, and each will rely upon their profession or trade skills in so doing. It will all sort out. The hybrids, and others operating in the Service-to-Other, would not come to a community simply because it was, in human terms, "organized". They come because the predominant spiritual orientation is Service-to-Other, the leadership Service-to-Other, and there would be no chance of any assistance given being taken over by those who are Service-to-Self. After the termination of the PS's hour the N American Plate and the Euroasian Plate will run into, predictably. Yes, of course, the tidal wave will raid upon current West Coast of the N America and upon the North Coast of Russia. However, what the Zetas can say about this collision? These plates will simply run into, or because of collision one plate will move under other plate? Maybe lifting/lowering of land is expected? 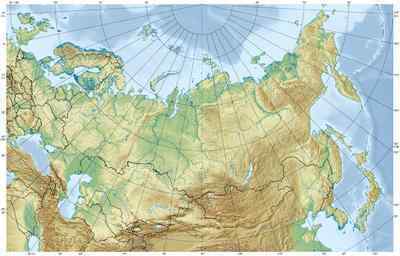 I live, in fact, near North Coastline of Russia, on Kola Peninsula. What this land can expect owing to this collision, except a push/quake? The border between the N American and Eurasian Plates does not subduct. It also does not slip-slide. This can be seen by a topography check. No mountain building is evident such as exists in the Andes. No torn lines in the Earth along the fault line as it crosses eastern Russia such as exist along the San Andreas in California. These plates are locked, facing each other, like bull buffalo going head to head but making no gain in either direction. Thus, all the other parts of these great plates make the adjustment when change is forced upon them. "This is the biggest contraction of the thermosphere in at least 43 years, says John Emmert of the Naval Research Lab, lead author of a paper announcing the finding in the June 19th issue of the Geophysical Research Letters (GRL). It's a Space Age record." Emmet goes on the say: "the magnitude of the collapse was two to three times greater than low solar activity could explain." This is a clear admission of ignorance, and to top it all off, the research effort is suggesting CO2 as the "culprit" [and from another] John Emmert of the Naval Research Lab at NASA said: "This is the biggest contraction of the thermosphere in at least 43 years" in regards to a puzzling collapse of earth's upper atmosphere, and added: "Something is going on that we do not understand". Please comment on this here: http://science.nasa.gov/science-news/science-at-nasa/2010/15jul_thermosphere/ [and from another] Scientists Baffled by Unusual Upper Atmosphere Shrinkage [July 17] http://www.cnn.com/2010/US/07/16/nasa.upper.atmosphere.shrinking/index.html An upper layer of Earth's atmosphere recently shrank so much that researchers are at a loss to adequately explain it, NASA said. The thermosphere, which blocks harmful ultraviolet rays, expands and contracts regularly due to the sun's activities. As carbon dioxide increases, it has a cooling effect at such high altitudes, which also contributes to the contraction. But even these two factors aren't fully explaining the extraordinary contraction which, though unlikely to affect the weather, can affect the movement of satellites. The thermosphere lies high above Earth's surface, close to where the atmosphere ends and space begins. It ranges in altitude from 55 miles (90km) to 370 miles (600km) above the ground -- the realm of meteors, auroras, space shuttles and the international space station. This is the biggest contraction of the thermosphere in at least 43 years. The thermosphere interacts strongly with the sun and hence is greatly influenced by the sun's solar activity, which occurs in cycles. When solar activity is high, solar extreme ultraviolet rays warm and expand the thermosphere. When it's low, the opposite occurs. The collapse occurred during what's known as a "solar minimum" from 2007 to 2009, during which the sun plunged into an unprecedented low of inactivity. Sun spots were scarce and solar flares were nonexistent, NASA reported. Still, the collapse of the thermosphere was bigger than the sun's activity alone can explain. Emmert suggests that the increasing amounts of carbon dioxide making its way into the upper atmosphere might have played a role in the anomaly. In essence, and despite all manner of dire warnings that the solar maximum this cycle was going to be horrific and outdo anything mankind had ever experienced, NASA is having to admit that the opposite is occurring. The Sun is asleep. The shrinkage in the thermosphere, normally occurring during a solar minimum, has not recovered from the solar minimum but is in fact worse. This data of course goes hand in hand with the near record days of absent sunspots the past few years, and the almost non-existent CME activity during this time, when the solar maximum is supposed to be at hand. Desperate to continue the cover-up over the presence of Planet X, which has caused this quiet Sun by its presence, NASA is trying to revive the defunct Global Warming argument. It's all due to CO2 in the upper atmosphere! Why has this article, this admission from NASA, emerged at this time? Scientists worldwide are familiar with the many data sets provided by NASA, often known as space weather. Even amateurs have been noting discrepancies in NASA's conclusions, and the murmur level among professional scientists is near riot. NASA's favored cover-up excuse, to blame the Sun for the Earth changes, is no longer even remotely credible. They must finally admit the Sun is asleep, in order to remain credible themselves. Yet to do so removes the excuse they have been floating out to the general public to explain the weather and even to explain earthquake and volcanic activity increase, which they had been trying to tie to their explosive solar activity predictions. Now what? Revive the Global Warming theory and blame CO2! The theatre of the absurd is about to begin! With the recent Chinese UFO activity, seems the Chinese government who heavily control media etc is allowing its citizens to discuss UFO sightings, why so? Will the council of worlds still allow more of this to occur and I am hoping to see more ETs teleporting in and out or more ETs walking or running away to be captured on video, knowing that HD cameras are everywhere in places like China. Where the Chinese government is repressive in stamping out opposition in its citizenry, it is utterly pragmatic and practical. Its much reviled stance about the number of children a couple can have in fact keeps starvation at bay in the country, along with all its repercussions. Poor nutrition affects more than empty and cramping bellies. It involves poor resistance to disease, and thus much pain and suffering. Thus, being of a practical mind-set, they have accepted that mass sightings of UFOs are not going to stop, are going to increase, and thus to fight this will only sap their strength and reduce their credibility! We view this as a good decision, and applaud this. Recent news articles have stated that ratings have plummeted for media outlet CNN, traditionally more liberal in its coverage, and slipped for other cable outlets as well. But remain high or have spiked for Fox News, which posted its biggest year in 2009 and its strongest quarter ever in early 2010. Bill O'Reilly commands the largest audience in primetime, at 3.65 million viewers, and Glenn Beck's viewership increased by 50 percent, according to a New York Times article from March. Is this an indication of a shifting of orientation for many viewers? Other? Can the Zetas comment? [and from another] Are the cover up establishment who have a tight grip on the media concerned about Matt Drudge and his "Drudge Report" running wild with links about PX, or Nancy and zetatalk (once the evidence is obvious), given he is not part of the mainstream media and has a huge following? Or has he been warned? Last month members of congress and senate were told they should not be reading it, for lame reasons, which is very unusual. [and from another] Why did yahoo make this crop circle debunker video? It is on the MAIN page of yahoo right now. 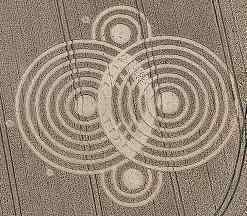 They are basicallly saying crop circles have been known to be man made since 1991, sponsored by companies like Pepsi and Nike. This video is trying to say all crop circles are made by pranksters, invented in the 70s. They must be afraid of the uptick in crop circles? We have mentioned the polarization of the populace as the Transformation of Earth proceeds. As democracies pop up around the world, replacing repressive regimes, and the Green movement gains strength treating Mother Earth with more compassion, and the New World Order crowd sees their grip slipping, those leaning to the Service-to-Self become highly resentful. Thus increasingly uncomfortable, with only a vague sense of any reason for this unease, those who lean toward the Service-to-Self orientation seek at atmosphere which resonates with their feelings. Bill O'Reilly and Glenn Beck loudly rail against those elements of the political environment that made the Service-to-Self feel uneasy, and thus they linger there, increasing the ratings. The Drudge Report, popular because it is often the site where breaking news can be assured to break first, is likewise aligned with those leaning to the Service-to-Self, providing scandal tidbits and rumor against those elements in society that make the Service-to-Self uneasy. This leaning is the source of Drudge's success, as those in sympathy with him, in high places, provide his leaks. Certainly, in that it is the establishment who fears that the cover-up over Planet X will drop and they, thus, become vulnerable to rage in the public, Drudge would not be the one to break the news about Planet X. The wealthy control the media, and thus their unease over the alien presence is likewise felt at Yahoo, where attempts to debunk the growing crop circle phenomena recently were featured. All this is a type of flash of brilliance before death, as this group is dying, losing control, and will at some point rapidly fade from view. Ancient writing and ancient historical sites show that humans interacted with other "alien" races on earth many thousands of years ago. When and why did the Council of Worlds decide we would become isolated from other "alien" races? Has this isolation negatively influenced our races progress from 3rd density to 4th density beings? "Living the lie" has caused so many problems in our lives, speaking from the heart. In mankind's early history, as on most 3rd density worlds, encounters with aliens was open and recorded in the conscious of man. This would have progressed to the present, through to the Transformation of the Earth, were it not for the interference of the Annunaki. We have explained that the Annunaki are peers of mankind, not space traveling aliens from higher dimensions but just another hominoid race. Their space travel is akin to man's journeys to the Moon and plans for visits to Mars. But because Planet X, aka Nibiru, is so much heavier than Earth the Annunaki have adjusted to a gravity field 1.5 time greater than Earth, and thus their bones are heavier, their build heavier, and they appeared as giants to early man. The balance between the forces of Service-to-Other and Service-to-Self was skewed because of the terror and sense of hopelessness that the Annunaki instilled in their slaves on Earth, whom they had set to mining for gold underground. The practices of the Mayan, whereby they tore living hearts out of the chests of sacrificial victims, was started by the Annunaki. This shows their tactics in instilling fear and maintaining control over their slaves. Thus the Council decided to quarantine the Annunaki from Earth, so that emerging man could have a balanced environment. But more than that was required. Smelling blood, ambassadors from the Service-to-Self descended on Earth to take advantage of the terror that had been instilled in early man. Ambassadors from the Service-to-Other arrived to counter this influx, and these two groups would often engage each other in physical battle! All this was witnessed by mankind, and was deemed in and of itself to be disruptive to the balanced field that young souls should be given in their schoolhouse. So it was deemed that the rule about visitations or contact with aliens being recorded only in the subconscious be imposed. Where this is a slight burden on those who are contactees, the alternative would have been worse. The northwestern suburbs of Washington DC experienced a small earthquake on July 16th. Since this area historically has experienced little earthquake activity, what can the residents of suburban Maryland, northern Virginia and Washington DC expect in terms of seismic activity during the New Madrid adjustments and the months preceding the pole shift? [and from another] No One Trapped At 2nd NJ Parking Garage Collapse [July 18] http://wcbstv.com/topstories/collapse.garage.collapse.2.1810353.html One day after a parking garage caved in, there's more rubble in Hackensack after a second collapse. 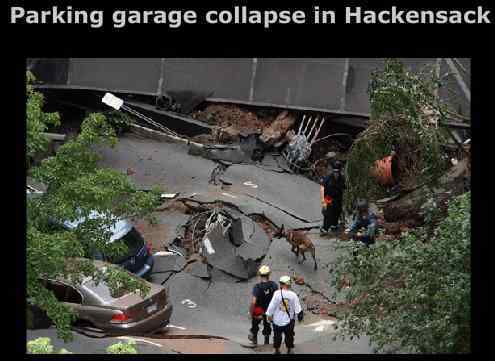 The first collapse happened Friday morning when a glass atrium fell on top of the garage, causing a pancake effect. How are those at the seat of power in Washington DC taking the news that the Earth changes have arrived at their door? A quake in the magnitude of 3.6 is hardly a concern, barely felt, and the collapse of a parking structure in New Jersey due to a weakened soil base beneath the structure may seem distant and relatively trivial. But it is the start of Earth changes reaching the seat of power in DC that is the alarm. Washington DC is on lowland, and thus would be subject to stretch zone accidents and inundation in the future, which those in the US government know. Deep fear has begun to grip, as despite the long-time plans for continuity of government and alternate sites for the seat of power, this would disrupt many lives and, they fear, not quite work. The phrase "divide and conquer" applies during any forced relocation of this seat of power, as communications fail or are delayed, meetings lack participants, and certainly closed door face-to-face meetings to discuss secret affairs are less likely to be arranged. Nothing would work as it did formerly, and the agendas of those in power are likely to suffer. If this is how Washington DC is reacting, the citizens in the area might find the black cloud of political ambition and agendas lifted, the traffic less congested, and a chance to focus on survival during the forthcoming times facilitated. Some lose, some win, in this matter. .
New crop circle formation. Farley Mount, nr Sparsholt, Hampshire. Reported 17th July. http://www.cropcircleconnector.com/2010/farleymount/farleymount.html It have 11 circles and ring. What this mean? Clearly in this circle of 8 orbs, one is smaller and one circled. But what does this mean? These are neither representative of months or years or any individual planet placement, but a basic lopsided force in the general particle flows arrangement in your solar system at the current time. This is not on opposite sides of the solar system, but at a tangent somewhat to one side. Where normally the Dark Twin is on the opposite side of the Sun from the Earth, it has come up behind the Earth in their shared orbit. Venus likewise does not move to the other side of the Sun during her orbit, which is halted by the presence of Planet X too. Then add to the particle crowding the presence of Planet X, which prevents particle flow in that direction, so that a clog has formed midst these four planets. Just as earthquakes often have a sympathetic reaction in the magna at a tangent to the original quake, this particle clog has a reverberation at a tangent to the Sun. Just a question on what happens after the shift. Will our current 'advances' and knowledge in technology and science be lost after the shift? Will we move too a fully agrarian society? Looking at the outcome of the shift, with manufacturing capabilities ended, it looks like current high tech equipment will eventually become useless if there are no power sources to run them, thus the knowledge of manufacturing them also becomes useless. I was wondering if we need to archive our knowledge for the future generations, or will it start again in new directions. In prior pole shifts mankind was thrown back. Thus, Egypt stopped taking her census, as is well reported, and the nobility ran for the deserts. The great cities of China, which occasionally emerge from under the ground, collapsed for no known reason. The cities in Central America and Peru, high and grand with irrigation and sewage canals, collapsed and deserted for no known reason. If mankind were not in his Transformation, when those who are Service-to-Self will be taken away, those who are undecided taken away, and only those who are highly Service-to-Other allowed to reincarnate on Earth, then it would be different. It would take some hundreds of years and much coordination between groups on other continents to piece together mankind's technology and begin to manufacture again. Man is to be phased out as a species, so that those who reincarnate on Earth will be reincarnating into hybrid bodies. All who are living on Earth will be allowed to live out their lives. But when the undecided pass on they will be reincarnating as octopi on a water world. And those who are to be taken to prison planets are unlikely to be hominoids such as man, as hominoids are too prone to empathy. So to attempt to gather high tech equipment and knowledge is likely to be an endeavor that would never see fruition!. In "Safe Locs." on zetatalk.com, you mentioned that land in Portugal will go down due to the Atlantic tearing, and that survivors would be advised to go to the high mountains in Spain, and after the PS make their way to Africa. Taking all that and the melting of the poles for the next 2 years into account, my questions are; 1) Will all Portugal go under water? 2) Will land at 600 metres (approx 1800feet) and higher be safe? 3) How far inland will the coming tsunami this year affect coastal areas. Any advice re-Portugal would be appreciated. Being along the coast, Portugal takes the brunt of the tsunami and since much of its landmass is lowland the force of water during any tsunami or tidal sloshing will run up into valleys and along river beds. For Portugal, surviving the pole shift itself will entail seeking high ground 100 miles inland and more than 200 feet above sea level, to account for the lost elevation anticipated during the hour of the shift. Allow an addition 100 feet in height. Tsunami rapidly lose their force and height as they roll inland, as the water must spread over the land and thus drops in depth almost instantly. This is a coastal phenomena, solely. Though Portugal and Spain will lose 50 feet in elevation due to the stretching of the Atlantic, after the pole shift, land above 725 feet in elevation there will remain above the waves, but our advice is to escape to Africa where more land mass per person can be expected. The bridge to Africa will be a heavy migration route, and thus looting and continual confrontations can be expected for those who cling to their homeland in any Portugal highlands. My native language is Spanish, but with the help of a translator, I managed to write the following: My question is to know what will happen to those who during their lifetime, have had to live with psychiatric problems, treatments, pills and visits to specialists, but have failed to heal or illness requires continuing medical care. Assuming they survive the pole shift and settle in any community. You, the alien, between the aid that could deliver some established communities. Do you have provided mechanisms to cure or eradicate mental illness? We can cure mental illness and one of the assists we will be giving to those highly Service-to-Other and living in Service-to-Other communities is to do this. Mental illness is a chemical imbalance, a reaction to stress in those prone to this imbalance, but the pole shift will create temporary insanity in 43% of the survivors, by our estimate. We have pointed out that those who are insane are in less pain than they were in their pre-psychotic state, and thus being delusional or hallucinating is not necessarily something that needs to be fixed. In fact, those who are mentally ill are often pouring out their feelings, and thus a prime target for those who are Service-to-Other and looking to heal and comfort others. Your world, after all, is an opportunity for spiritual development. In our worlds, those born with defects are often treated with great kindness and assisted, and give our doctors and biologists great opportunities to serve others, to their satisfaction. Problems are not always the burden they seem, if one looks at the situation in totality. As Planet X closes the gap between he and the Earth, their magnetic fields increasingly clash. This has forced the Earth into a temporary lean to the left and even a temporary lean into opposition during these past few months. We have described this dance as a dither, as a move in one direction creates crowding that causes a bumping action, thus a move in another direction. Woolaston is trying to relay that picture, a reverberation in all directions because of the magnetic field clash. So what are the tiny dots? These represent the Earth's Moon, which likewise reacts to the particle field crowding with an eccentrically tilted orbit. I was at CVS in line today and this person in front of me was telling the cashier how much he hated "bums", a homeless man was outside at the door. He said the word "bum" twice with such disgust and hate. He himself could have passed for a "bum" if he was standing outside. Why do some people treat homeless people like dirt??? Less than human? It is 115F outside in Phoenix and these homeless people don't have an easy life. Yet this man is disgusted by the fact that his eyes have to glance upon a homeless man for a second. What a disgusting creature. Such contempt for those who have fallen on hard times is basically coming from fear. These individuals do, for a moment, put themselves in the other person's place and feel cold fear. They then attempt to disburse the fear by reassuring themselves that they could never be that person, and thus feel secure. The steps in this mental process are: 1. see the bum and feel sorry for him; 2. feel fear that the self might one day be a bum too, 3. distance the self from the bum by feeling superior and assuring the self that this would never happen for that reason, 4. showing disgust for the bum in order to firm up the feeling of superiority. One must be a weak person to take this route, as you have intuitively understood. .
What is the stance of the Australian government in relation to PX, ETs and the pole shift? Our media still ridicules anyone claiming to have seen a UFO, let alone had contact etc. It seems as though the powers that be here will never let the coverup go, as even small cracks are sealed over. Where is this ultra-hard line coming from? Those in power in Australia have shown their hand more than once in recent years as to how they would proceed during the Transformation of Earth. Immigrants from Indonesia were put into cages so repressive that parents sewed their children's mouths shut to force them to participate in hunger strikes. We stated at the time that deals had been struck between the wealthy and politically powerful in Indonesia and the Australian government. The elite in Indonesia would be allowed to immigrate to Australia in exchange for the virtual murder of their citizens. The military in Indonesia would be ordered to blockade the citizenry in the cities until it was too late to escape, while the elite dashed to their safety in Australia. Of course, such plans always fail, as the military is not a mindless unit and itself will panic when the Earth changes get serious. Likewise, the citizens of Australia are not a mindless unit, and will not cooperate when they see what their government has arranged. As we have stated, the Awakening to the alien presence is not something that requires the cooperation of a government, as we go directly to the people. In fact, adamantly denying our presence only serves to discredit them, in the eyes of the public. In the safe locations part of ZetaTalk, Kentucky has a lot of limestone that will withstand powerful earthquakes. My question is, living in Louisville, KY, knowing the city will be unsafe due to tidal boring and flooding due to the Ohio River, what part of KY would you consider to be a good place to move my family? Kentucky has its back to the Appalachian Mountains, and thus escape to high ground is assured. Where land along the Ohio River will of course flood during the pole shift, and to a degree not imagined by the residents there, land in the vicinity will remain above the water line in the Aftertime as it is overall above 675 feet in sea level. The Mississippi will flood and backwash, to a shocking degree, as will the Missouri, and of course the Ohio River will do the same. Be well inland and out of the flood plain to escape raging trash-filled water on the move during the hour of the pole shift. I've been trying to calculate as accurate as possible my new position after the PS, so we can stock with appropriate seeds, plants and even small trees, which weeds will survive and which will die out, what small animals to take, etc... But the tearing of the Atlantic will change everything. Is it possible for the Zetas to calculate how much the Atlantic will tear? The distance from Madrid/Spain to Chicago/US is at present per Google earth 4187.67 miles with a compass bearing from Madrid of 301.7 degrees. 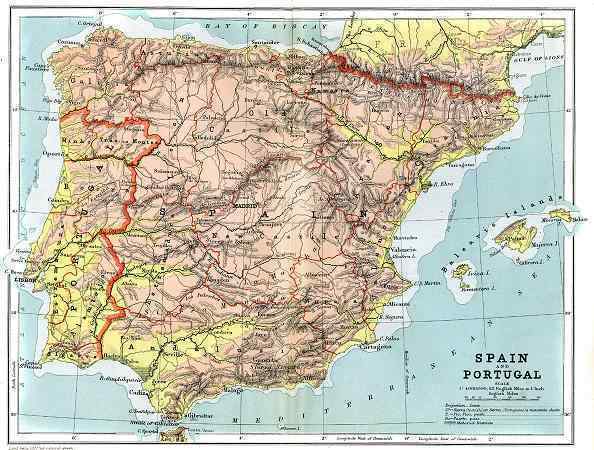 What will the new distance be after the PS between these 2 cities, and what compass bearing from Madrid? I feel that once we know that, anyone from either side of the Atlantic can easily compute where they will be. Will the widening distance of the Atlantic be equal to the shrinking distance of the Pacific? It is impractical to think in terms of distance between cities on differing continents, as travel between such points will be impossible in the Aftertime. The most practical way of locating your new latitude is to locate the distance from your nearest new pole. For Portugal, of course, this is the new S Pole which will be where southern India is located today. There will be scant adjustment between these two points, and though the Red Sea will spread somewhat, this is not a massive difference from the distance that exists today. All of Europe, Russia, the Middle East, Africa, China, and Asia can compute their future climate in this way. Australia and New Zealand should likewise compute their new latitude in this manner, making a slight allowance for a portion of the Indo-Australian Plate having pushed under the Himalayas somewhat. Other lands can compute their new latitude from their distance from the new Equator. Alaska, Antarctica, Greenland, Iceland, and northern Canada can assume a tropical climate and latitude based on the new Equator virtually passing either through their landmass or close by. For the Americas, the location of the new N Pole is key. This suffices for S America which will remain intact through the pole shift. For N America, which must account for the crumbling Caribbean Plate, the best calculation is a combination of computing where the new Equator rides in the Bering Straits and the distance from the new N Pole off the Bulge of Brazil. Where the two ends do not meet, then assume the new N Pole to be closer to you than the distance on today's map would compute. The N American continent will not stretch or expand, except for a slight increase in the width of the Seaway. If the person feels other souls very well, can he define spiritual orientation of other person, looking at his photo? A photo alone could not determine spiritual orientation, as a highly Service-to-Other person may stare in a cold and serious manner and a highly Service-to-Self person may put on a false smile. In cases where someone states they can feel the vibes, they are reacting to something other than looks. The soul has reached out and touched the other, so knows in depth the nature of that other person. I've noticed on July 20th along with other quakes around this day, most noticeable a 5.1 near Vancouver , a 6.7 around Alaska and a 4.2 around Nevada, and i think Alaska had another one over 6 but am not sure. Oh, and i can't forget the one over 5 near Japan. These can't really be what kind of events could have been foretold around this date could it? [and from another] Would the Zetas care to comment on the record cold in South America, please? Is it related to the wobble? Clearly the Earth is tilted into temporary magnetic opposition, the N Pole pointed toward the Sun, causing an extreme summer heat in the northern hemisphere and extreme winter cold in the southern hemisphere. As we stated in earlier ZetaTalk, the Serpentine Dance is ending. This means that instead of the steady daily wobble, the Earth will be jerked back and forth. This was noted a few months ago when the Earth had, on occasion, a temporary lean to the left. Earthquakes would increase and the GPS falter when the Earth snapped back and forth at that time. We have stated that something would occur around July 20, 2010, and the change in the wobble is certainly a factor in this. However, the matter we were alluding to has not yet happened! Can some become mildly dizzy or even sick when lots of plate pressure is occurring in the earth below them, or in distant parts of the world? Does this unseen pressure from particle flow from Earth's core, or deep in the crust, affect the body's electrical system in any way? Would a person unknowingly feel any sense of relief of 'pressure' within them after a large scale earthquake(s) occurred somewhere in the world? Based on past Pole Shifts, can the Zetas please offer any details of what internal symptoms may have affected the populations? Can these feelings inside explain why many jump to action to eventually discover Zeta Talk and prepare for the PS, regardless of other explanations available, or whether they are even young souls or not? Earthquake sensitives are a real phenomena and have documented accuracy. Why do you suppose that animals and pets flee an area that is about to experience a quake? They are made to feel uncomfortable. The symptoms sensitives feel range from ear ringing, feeling nauseous or achy as though about to come down with a cold or flu, joint pains, and headache. What are sensitives reacting to, and what is occurring in the body? It is well known that prior to quakes, rock layers are pressed together and conduct electricity through the water pockets in the rock. Thus, with the current stronger, there is static electricity interrupting radio signals in the area. This phenomena has been recorded many times, prior to earthquakes. Since the nervous system works by chemically generated electrical signals, the body is told to become inflamed, to cramp, or to transmit pain signals. Surging magnetic fields can bring about similar symptoms because electrical and magnetic sub-atomic particles often run together, as those working with electromagnetic generators are well aware. Will many people feel ill during the last week and pole shift hour due to this? More than are currently aware of their nature as earthquake sensitives will feel ill, yes, but they are unlikely to relate this to Earth changes. At that time, terror and anxiety will be so prevalent that this will be blamed. A video was posted on this site showing huge numbers of clams beached in Karachi Pakistan http://ning.it/d5tCdd. Similar but less dramatic observations involving the beaching of bivalve molluscs has been seen in New Zealand in recent weeks. Is this a sign of seismic/magnetic anomalies being sensed by sea life? Since I feel non-humans are very good early sensors, it would seem very useful to keep observing the behaviour of other species. Just as pets leave home in an attempt to get away from an areas that is having electromagnetic screech prior to an earthquake, forsaking food and shelter and comfort, creatures in nature attempt to escape. Electromagnetic screech, as earthquake sensitives can report, create muscular and skeletal aches and pains, ear aches, head aches, and nausea. Both electrons and magnetons are involved in electromagnetic particle flows, as the nervous system of both man and beast operates by chemical electricity of sorts. To be in such a locale is painful, and thus the creatures flee in any direction where the pain is relieved. Man represses his awareness of this pain, or attributes it to stress, fatigue, the weather, or perhaps a cold of flu. Animals are not trying to fit into a social scheme, and thus view the situation in a more simplistic manner. They don't bother to pack up and make arrangements, they just go. Came across this article about the increase in raids on small farmers and local food groups: http://www.grist.org/article/food-five-tips-for-surviving-a-raid-on-your-farm-or-food-club/P1 Will small farmers have to put up with this type of bullying - or worse than this - before there is some kind of relief? Can the Zetas elaborate on this issue? I don't have any evidence to support my idea, but I think a lot of these farmers and networks are trying to develop a solid community base before the PS even though they may not consciously realize what they are doing. Any thoughts on what food producers should do? This was ostensibly an attempt to prevent free markets from evading taxes and government regulation. What ended up being attacked was the basis of barter exchange between neighbors. Small organic farmers too small to be on the regulators radar, neighbors who had too much produce so exchanged with other neighbors, all of these raided as thought they were criminals intent on cheating the IRS or poisoning the populace. Does this have another agenda behind the official agenda given to the press? Yes, in that those in the establishment who feel uneasy about the populace escaping their control wanted an excuse, any excuse, to gain back control they felt they were losing. Their short term gains will not last, and the good hearted motives of those establishing bartering networks will win in the end. A member of the Pole Shift Ning noted virtually all of the seismic servers on the USGS Liver Interent Seismic Server (LISS) going black for an extended period this past weekend. I have also noted and continue to note a subtle global shuddering ever since on the LISS, which has been happening on other than a set 12 or 24 hour schedule. This seems to indicate the end of the 'Serpentine Dance', but can the Zeta's comment more specifically on what would have caused such a significant disturbance over the weekend, what has changed to now cause a more constant pattern of global quakes? Why the global shuddering is not on a set 12 or 24 hour schedule, and whether this is the key event (or a consequence of the key event) that was to be anticipated on or about July 20? Periodically the USGS must adjust the sensitivity of their instruments, else the live seismographs would be black constantly! This has happened more than once since 2003. And due to the end of the Serpentine Dance, which we stated was pending, another such adjustment was necessary! What is happening now, thus, to the world during the daily wobble, and how has this wobble changed? The Earth is no longer in a steady roll where a gentle tilt happens daily, but is jerking around unpredictably. The temporary lean to the left that was evident by March, 2010 was an introduction to this jerking about. A lean into opposition became evident during the heatwaves in June and July, 2010. We stated that the end of the Serpentine Dance would mean the plates would be jerked about, with greater movement along the plate borders because of this. This greater movement, in one place, inevitably allows more movement elsewhere in a domino fashion. Thus, the scenarios depicted in the holographic presentation, showing what is likely to occur soon and lead to a 7 of 10, will soon follow. In the deserts map, I've noticed that the prevailing wind patterns are unusual. Although the prevailing wind direction at the equator is the same as the standard prevailing wind maps of today http://www.emc.maricopa.edu/faculty/farabee/BIOBK/deserts.gif, East- to-West, the arching or curling backwards of 180 degrees in a West-to-East direction is a new factor in the prevailing wind directions. Additionally, the movement of air from the equator seems to move in a South-Westerly direction as opposed to the standard North-East trade winds. Are these new patterns due to a rotational direction change from East-to-West in the opposite direction after the Pole-shift? Or are they due to new land mass geography placement? Or perhaps is there some factor that is not mentioned. Could you ask the Zetas to comment on this please? 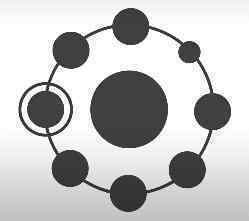 [and from another] http://geography.about.com/od/physicalgeography/a/coriolis.htm The main cause of the Coriolis effect is the earth's rotation. As the earth spins in a counter-clockwise direction on its axis anything flying or flowing over a long distance above its surface is deflected. The direction of deflection from the Coriolis effect depends on the object's position on Earth. In the Northern Hemisphere, objects deflect to the right while in the Southern Hemisphere they deflect to the left. [and from another] http://en.wikipedia.org/wiki/Trade_wind The trade winds (also called trades) are the prevailing pattern of easterly surface winds found in the tropics, within the lower portion of the Earth's atmosphere, in the lower section of the troposphere near the Earth's equator. The trade winds blow predominantly from the northeast in the Northern Hemisphere and from the southeast in the Southern Hemisphere. In the map Nancy drew to accompany our words on new desert formation in the Aftertime, she is only drawing the start of air currents due to the Coriolis Effect, not the completed circle which becomes the Trade Winds as the Coriolis Effect completes by pulling the air mass back into the void caused by the Earth's rotation. The Coriolis Effect creates a circle of air, lifting off from the Equator as the Earth turns, and then circling back into the void at the Equator again. So what effect would the new Trade Winds have on the new geography? One should follow the path of the curling air masses as they complete the Coriolis Effect circle. When a land mass has a west coast facing a vast ocean area, the Coriolis Effect will curl the winds into that land mass, bringing moisture, as we stated in our earlier analysis. This is true even for those land masses that face a vast expanse of water from the north or south, as the Coriolis Effect curls around and then returns toward the Equator. On the map Nancy drew to accompany our words, follow that Coriolis Effect circle as it pulls back in toward the Equator, what you have called the Trade Winds. Argentina would experience moisture laden Trade Winds, as would the new east coast of Antarctica, the former west coast of the N American continent, the former east coast of Australia, Japan and what is now Asia, and to some extent what is now northern Scandinavia. . It never stops amazing me how the Zetas know which continental plate affects another continental plate and know what the end results will be and know when it will begin and end. Do the Zetas travel inside the earth to know it's inner workings? They know so much. I've seen a fraction of their technology, Thank you very much. Zeta Technology is simply out of this world..How do you do it? Even man knows what occurs under the surface in those areas where subduction of one plate against another occurs. Slip slide is obvious even on the surface, as one side of the slip moves in one direction, the other in another direction. In California, on the San Andreas, it is almost comical as a fence ends in a break, then many feet further away, starts up again, having been ripped apart. Stretch zones tear open in large crevasses, showing the process. As we stated early in the ZetaTalk saga, it is a scripted drama, no secret! Do the hybrids have two brain halves or one brain as a whole. Brain halves, as with dual kidneys or eyes or ears or ovaries or testicles or arms or legs, are dual for a reason. If one is lost, the creature can survive and reproduce with only one. Stories of humans losing half their brain, either the right or left side, and functioning almost normally, are in medical literature. The hybrids will thus have brain halves, but as we have explained will not have the split between conscious and subconscious that mankind suffers from today. The brain will be integrated, with no games being played by the conscious, and no escape from reality in this way. Are the Hybrids, when they mature, taught in a University type setting or at home in a small setting and are they taught as much knowledge as the Zetas know today? Can you elaborate a bit on hybrid society? We have detailed our Zeta lifestyle to some degree, in the Worlds section of the body of ZetaTalk, to counter the disinformation spread by those who would have mankind fear contact. But each culture, on every world, reflects not only the physiology of the species but the cultural background, and in this regard the hybrids will differ in their culture from strictly Zeta cultures. The hybrid community will be a combination of incarnations from human souls and Zeta souls, so will bring a wealth of past experiences to the community. It will be a bonanza of opportunity and expression, very lively. Regarding one of the most incredible revelations contained in ZT, the decision by the COW to move the undecided (young) Souls to OCTOPUS life form after death: ../density/d47.htm Is it meant to punish them for misuse of the human form on Earth (our planet would be destroyed in 100 years at this pace) ? or simply another Kindergarten schoolhouse for emerging souls to quicken their orientation Lessons towards STO-STS? Will it be a long stop on this waterworld? Is this the life form you met the one Undecided souls will incarnate into? looks like they're telepathic and chatty. Octopus Man (1995 ZT) "Octopus Man had a body and tentacles like an octopus. He was chocolate brown on the outside and cream colored on the underside of the tentacles. I was delighted to find him very chatty. I asked what his home planet was like and was telepathically shown a planet of water with only an occasional rock sticking out - very windy above the water line and inhospitable where the water was warm and inviting. We shook hands at the end, hand to tentacle. He had a special pink tentacle like a long earthworm that wrapped around my wrist, to improve communications it seemed. I had no problem with that. It's not the life form, it's the vibes coming from the soul within that matters." A group of undecided souls being transferred to another world is seldom punished during such a transition, and then only at their request. An example is Bigfoot, who was more intellectual and high tech in their former incarnations, but requested as a group to be transferring into a version of primitive man in order to reconnect with nature. Did every last soul in this group wish for this? Those that did not had an alternate transfer, after they had destroyed the world they were inhabiting, but over 99% of the young souls watching their world die did opt into the move over to become Bigfoot. On their prior world they were a type of centipede, large and with very dextrous grippers at the ends of each of their very flexible legs. Has man been polled as to whether he wishes to become an octopus his next time around? No, because this is not considered a step down. Why do you think the ability to make machines, to explode atomic bombs, to pollute your oceans and spread PCBs throughout nature is an advantage? Love does not need fingers and toes. The amphibious octopus that Nancy met as part of a life form orientation that many contactee are given was for a reason. This is indeed the shape of the future for most on the Earth at the present time. All strong earthquakes (Chile, Haiti, China) occur at night (Greenwich). http://www.iris.edu/seismon/last30.html Pay attention to time. Why at night? This coincidence or is an explanation? [and from another] I did an analysis of quakes over magnitude 5 from July 14 through July 22. Most do NOT occur at night GMT, though the majority did during July 20-22 when quakes were happening around the brake point near Sumatra and the Solomon Islands, etc. So the issue may be why quakes at the brake point happen at night, GMT, when Asia is having its dawn! We have described the Earth wobble as a polar lurch, as the primary push occurs when the magnetic N Pole turns to face Planet X during the Earth's daily rotation. This push happens when the brake point we have described along the Sumatra/Java border with the Indo-Australia Plate faces the Sun and Planet X, as this is the point where the magnetic N Pole, centered more over northern Siberia, comes into view. This point is also when GMT is a couple hours prior to midnight, thus the correlation of timing you noted with large quakes in this area. The Zetas say there will be a 90% die off. What percent of that do the Zetas predict will occur prior to the shift? At present, the Earth population is still expanding, due to unfettered birth control in many countries such as Africa and India. Despite zero population growth in some industrialized countries, the Earth is still exploding. 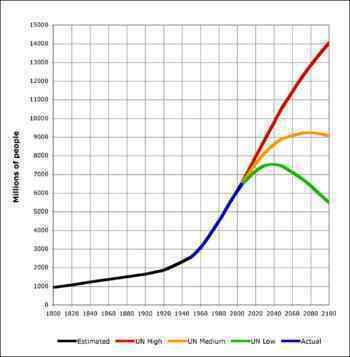 Certainly, starvation is increasing, but the effect of this is to increased misery, not slow the population growth. Thus, our projection still stands, as an overall estimate. When the pole shift hits, the population will still be in the process of increasing. From 2003 ZT: (Many Incarnations) "Nancy is an example of someone who quickly made her orientation decision, having done so in a little more than 1,200 lifetimes, but there are others who require 50,000 or more incarnations to firmly decide. Thus, most reincarnating entities on Earth have been through repeated pole shifts, or horrors of natural disasters equivalent, so this experience is not different and certainly not new." If the STO - STS nature is the result of the decisions and actions taken during thousands past lives, the logical conclusion is that a single lifetime (1 out of 50.000) even if a PS is experienced, for most of mankind has a very limited relevance for the soul orientation. Unless a soul is on the verge of making the final decision (How many souls are now in this delicate position?) Is it so? You are correct that experiencing a pole shift, in and of itself, is insignificant in the development of a young soul or in the spiritual orientation decision. Each lifetime presents a young soul with literally millions of decisions, opportunities to take action either to help another or to enhance the self. Violent accidents or tragic deaths are also prevalent, during each life. The young soul may not encounter violence to the self, but witness this, or be affected by this when it occurs. Most death is relatively peaceful, not due to an accident but rather old age or an infection or brain injury that results in a coma so life slips away quietly. But over many lifetimes, a young soul will have experienced accidental death or injury to the self. Nature on the rampage is also not rare, but occurs regularly in each life. In that incarnations vary between the sexes and around the globe, every climate and culture would have been experienced, so that floods and droughts, cold and blistering heat, earthquakes and sand storms, all would have been experienced. What is different about a pole shift is that all on Earth will be experiencing such times at once, none exempt. ii) others who tend to be pessimistic/"realistic" about what to expect from people. The former is usually accepted by the populace/history, while the latter is usually reprimanded by society. Could the z's comment on how we evolve as souls to have these personalities? Or is this strictly genetics at play? Of course, life experiences play a part in all of this, but in general those who instantly and unequivocally give people the benefit of the doubt are young and therefore naïve. Those with more lives behind them will not give a blank check to anyone with a friendly face, but will search for more clues. The person may be given a warm welcome and treated fairly, but watched. A soul-to-soul connection will be attempted, for a better read. The person is essentially on probation until an action test, showing their true agenda, can occur. Not all of this is on the surface. both types, the naïve and the more experienced, can give superficial smiles and act like everyone is accepted at face value for what they say, regardless of what goes on in the back of their minds. Those who indicate a negative take, guilty until proven innocent, may be doing so as a warning to others around them. It is their way to blunt rampant naivete around them.